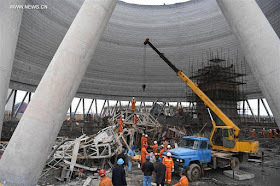 At least 40 people have been confirmed dead after a platform of a power plant's cooling tower under construction collapsed in east China's Jiangxi Province Thursday. 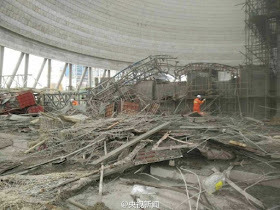 Rescuers earlier said that the death toll passed 40, but later corrected it to 40. 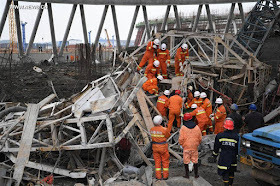 It is likely to rise as an unknown number of people are still trapped. 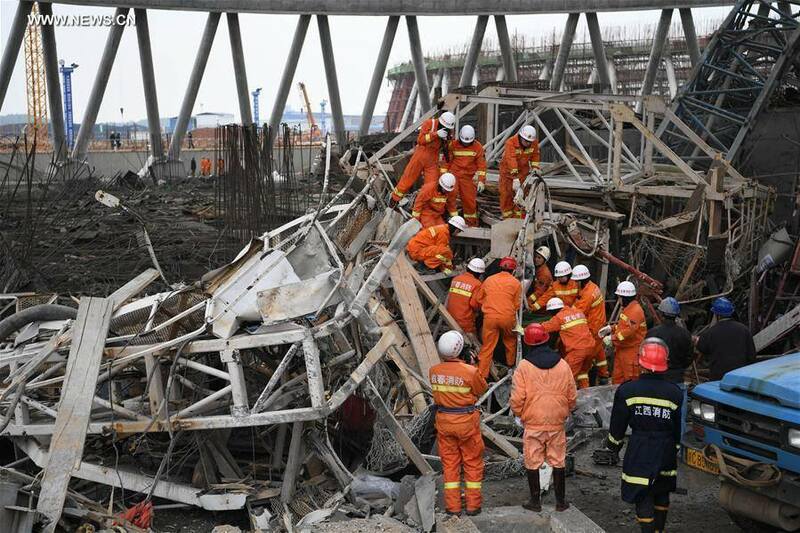 The accident occurred at about 7 a.m. Five injured workers are receiving medical treatment in a local hospital.